theories. Philosopher Euclide Mance will be present at the first meeting. 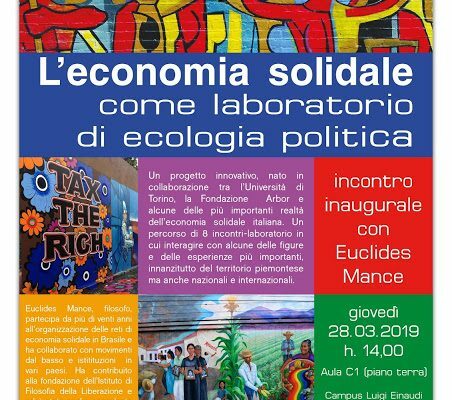 For more than twenty years, Mance has been involved in the organization of social economy networks in Brazil and he has collaborated with grassroots movements and institutions in many different countries. He contributed to the foundation of the Institute of Philosophy of Liberation and he also worked as an adviser on UNESCO and FAO projects related to local sustainable development.